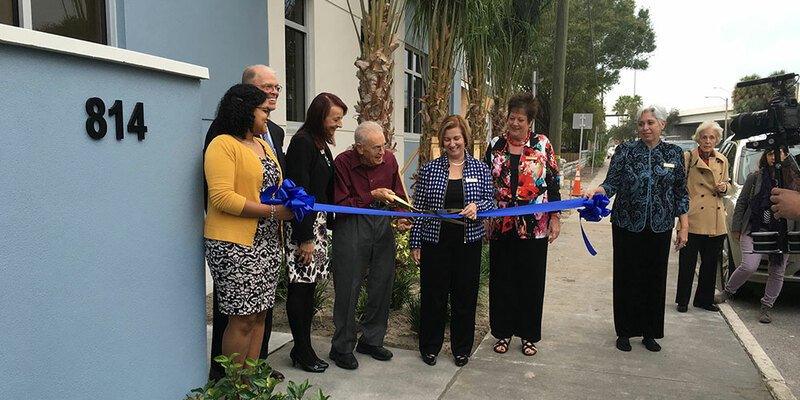 St. Petersburg Free Clinic’s new Virginia and David Baldwin Women’s Residence is now open in downtown St. Petersburg. The new building has substantially increased the Free Clinic’s capacity, now allowing the nonprofit to assist nearly 150 women transition to self-sufficiency each year. The Women’s Residence provides a safe place for women to live while they develop skills necessary for independent living. Designed by WJA, the new Women’s Residence includes a large commercial kitchen with teaching areas to share healthy cooking techniques, an open dining area to foster a sense of community, and training rooms to help with job-seeking and other life skills. Open since 1989, the St. Pete Free Clinic receives about 1,800 inquires annually. Read more about the new facility at SaintPetersBlog and TampaBayNewswire.